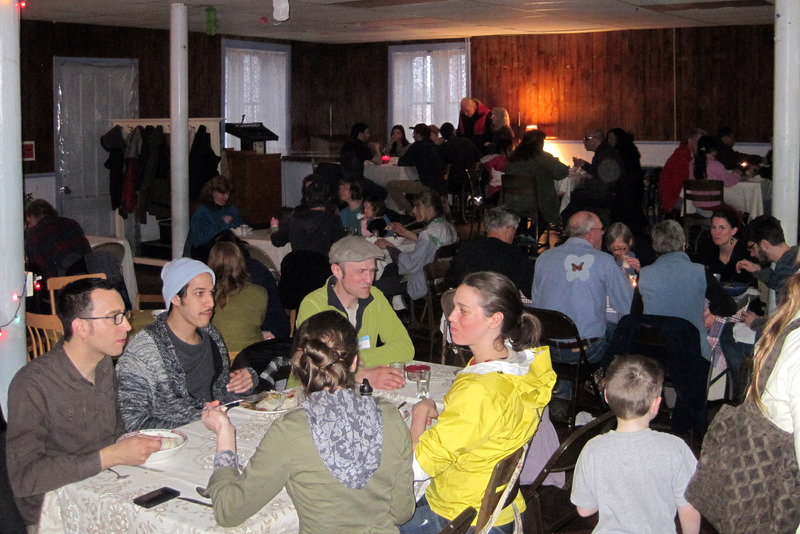 I had the privilege to cook the April dinner at Oakwood Community Center Soul Cafe in Troy, NY. Thank you OCC director Linda O’Malley for the countless hours of work and support you give! 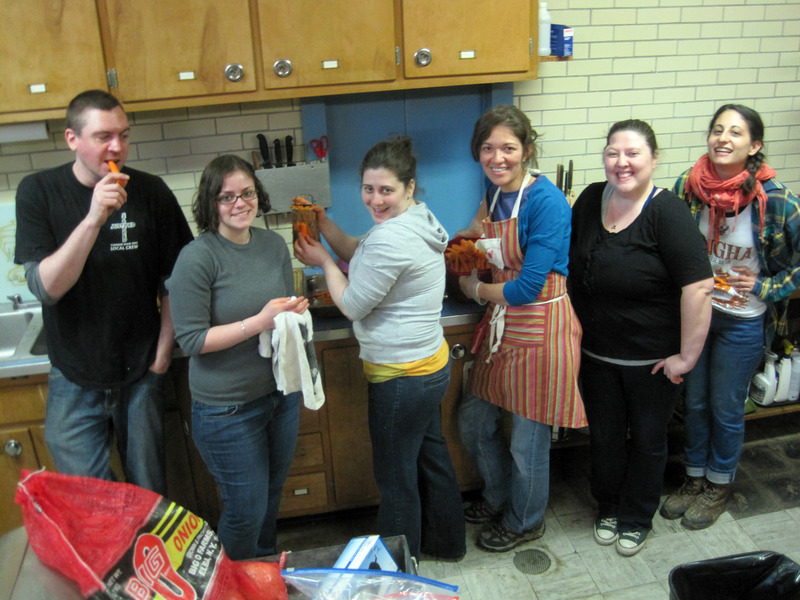 Here a photo of us in action: Dan Mcbain, from left, Michelle Rogat, Shanna Goldman, Ellie Markovitch, Kizzianne Casale and Jillian Naveh, We could not have done without all the help from many food loving and community supporting friends: Nancy Webber, Capital District Community Garden, Honest Weight Food Co-op, Troy Farmer’s Market and Slack Hollow Farm. I started by putting out some calls and asked folks to save any produce that could be used for the dinner. I got jalapenos and mushrooms the week before, that I roasted and froze until ready to use. 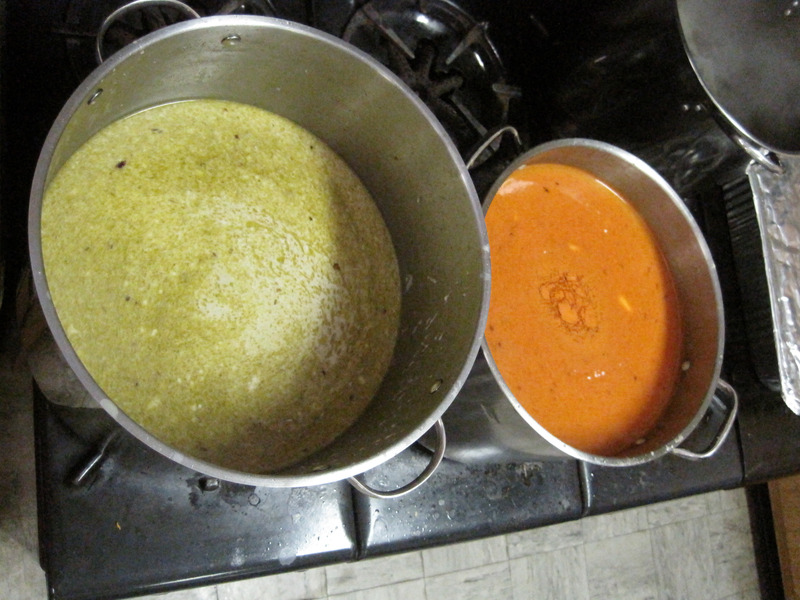 That is one of my favorite ways of cooking — “rescuing” an ingredient and creating delicious and wholesome food. So the real excitement started when I stopped at CDCG and got 2 large boxes of culled carrots! Yes, they needed some love but what a wonderful rescue it was! So much food goes to waste. 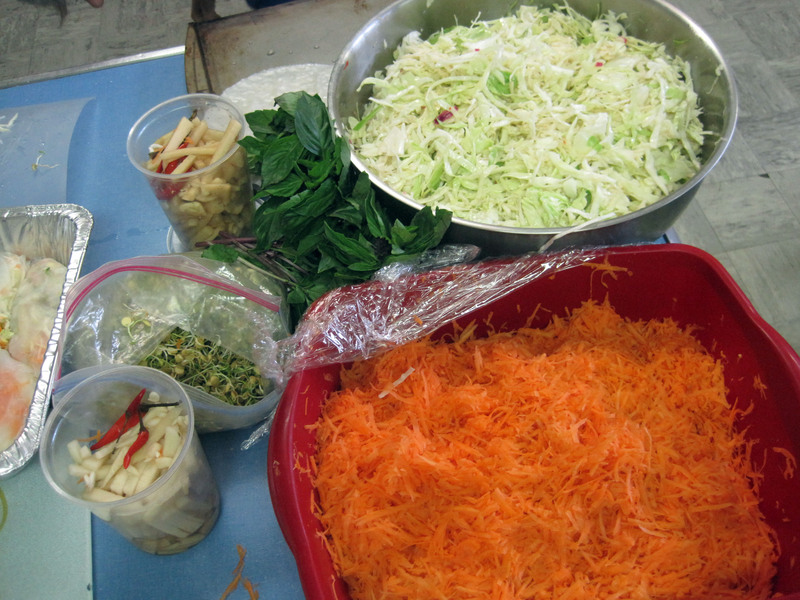 We were able to make 120 serving of stir fry and other delicious sides and broth with produce that were about to get discard. Amy Halloran had a similar experience with green beans recently and she wrote so beautifully and also in depth for The Metroland. I often check www.wastedfood.com and there are some great resources and ideas on this site. This recent video “Food Wastage Footprint2” give us a recent picture the costs of global food waste. 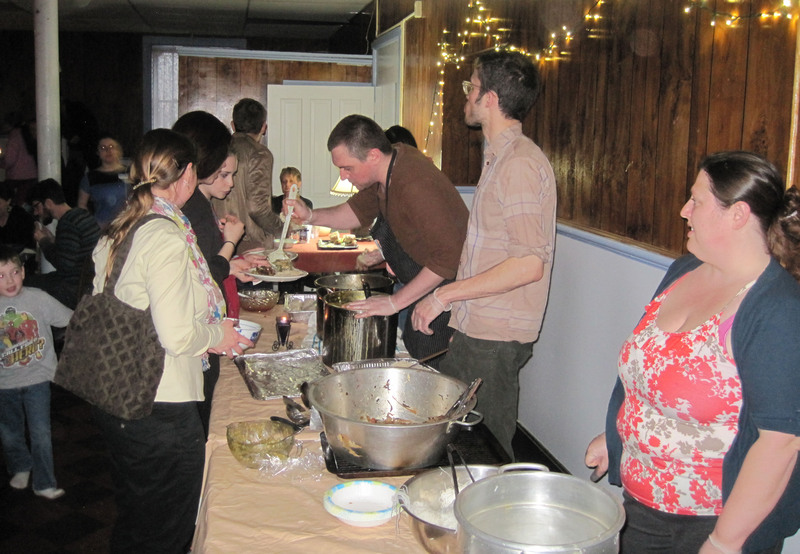 Now back to the dinner, on this photo bellow, we can see the process of cleaning and sorting. 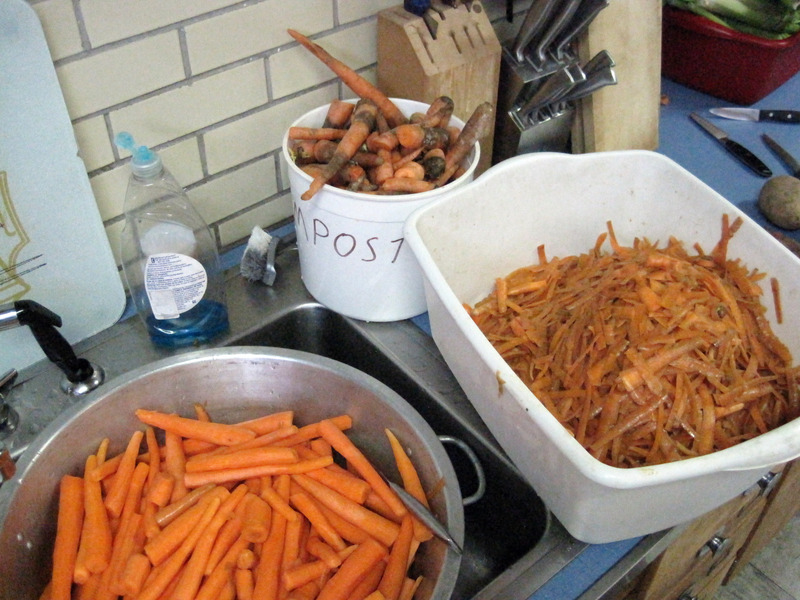 We also chopped and froze an extra gallon of carrots for a later use. and we were also excited to use kohlrabi. 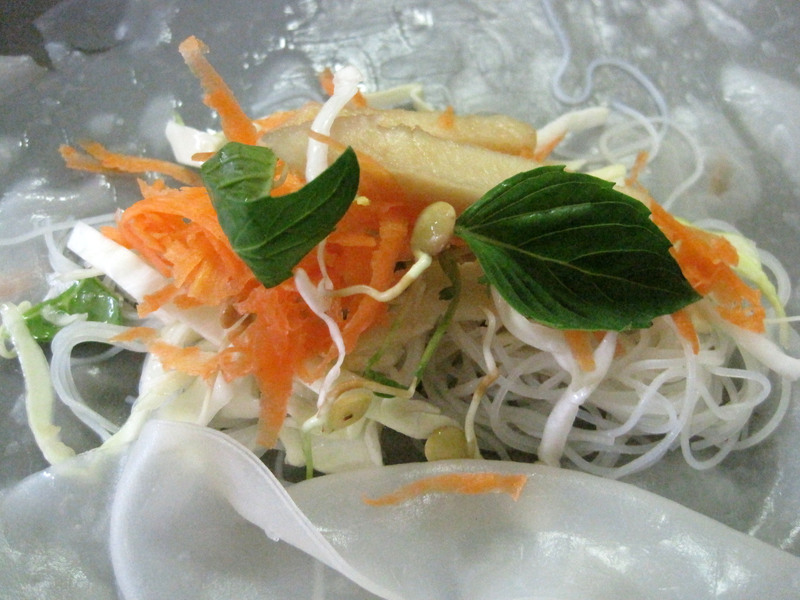 I roasted some with coconut oil and Dan made a pickling mixture he used to build the Spring Rolls. It was delicious! 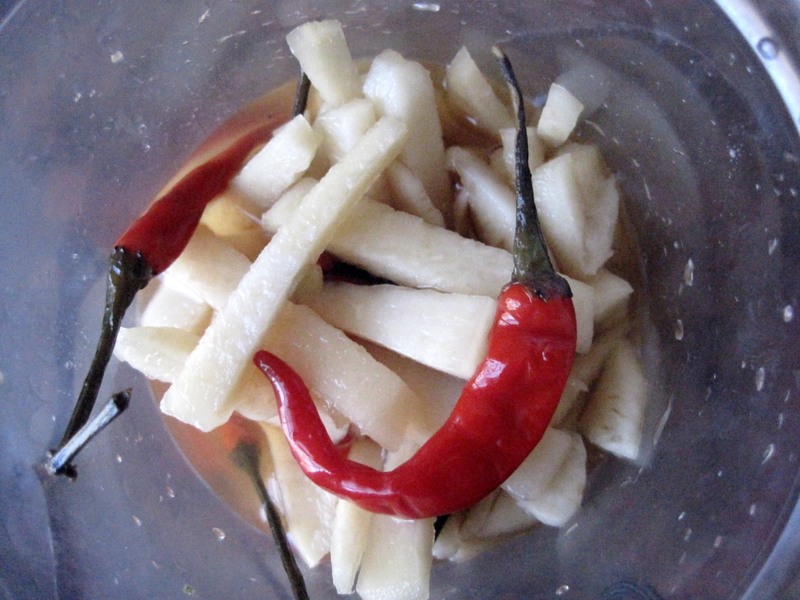 Dan’s kohlrabi pickling mixture: 50% cider vinegar, 25% cider/maple syrup and the least 25% a mixture of sugarcane vinegar and soy sauce/rice wine with some Thai-bird chilli. Refrigerate overnight. 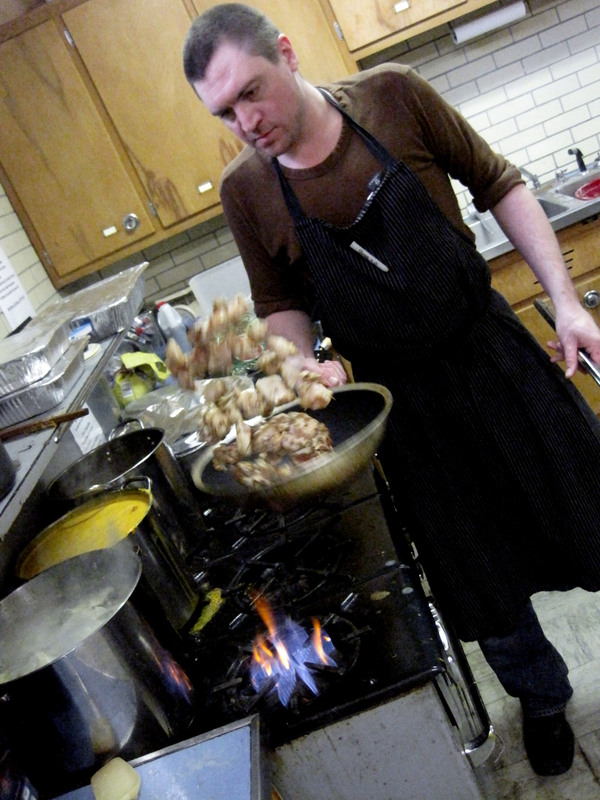 “The kohlrabi had an indecipherable flavor but a wonderful texture. 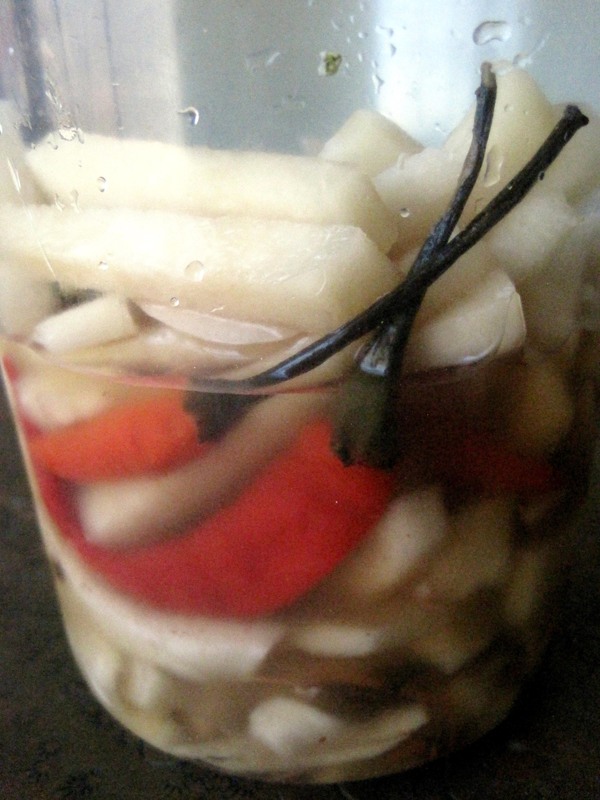 That’s what made it a perfect subject for pickling,” he said.